You must buy a minimum of 117 at a time due to manufacturer packaging. We don't have a 10-step filtering process for our water. We don't need it. Because Crystal Geyser is made by nature - not by man. Crystal Geyser is always bottled at the mountain source. 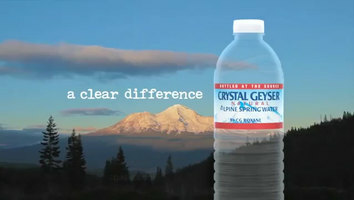 See why Crystal Geyser is proud of its lack of a 10-step filtering process, in this quick video! Directly from the springs of the most pristine geological locations in the United States, this natural spring water provides an exhilarating and invigorating spirit in the spring water industry. The process to bottle only the freshest and purest water begins with searching for spring and aquifer sources protected from agricultural and industrial manmade activities that might pose a risk of contamination. Once this location is secured, the water is bottled right at the spring source, ridding the threat of contamination during transport. Bottling exclusively at the source provides 100% natural, crisp and refreshing spring water taste. Committed to excellence in cleanliness, this spring water undergoes a double disinfection process that uses no sterilizing chemicals and does not remove naturally-occurring, healthy minerals. This desire for purity extends to environmental responsibility, as the water is packaged in 100% recyclable PET plastic, the most recyclable of all plastics used for packaging foods. Each smaller sized 8 oz. 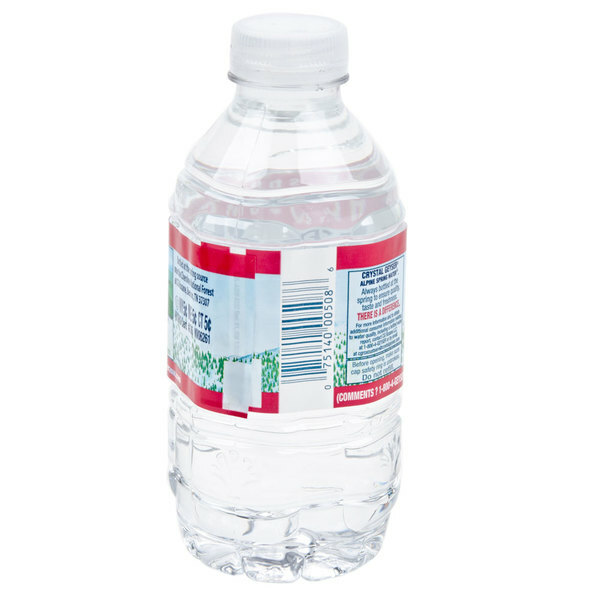 water bottle is BPA free and FDA approved. Determined to protect the springs from which this water flows, sustainable environmental practices are in place-from the care taken at the spring source and the packaging of the products to the energy efficiency in the manufacturing process. With every sip of this spring water, you can expect a product that cares about its source and the customer satisfaction it achieves. I find there is less waste with the smaller 8 ounce bottle. With the larger bottles I always find a bunch lying around half drank. This little water bottles are so cute. They are great for packing in lunches or having available at a front desk for guests to help themselves. I hand these out to guests. They are about half a regular size water bottle. That way less waste because most won't finish a whole one great value. This is a good tasting water. It's not my favorite but it's refreshing and clean tasting. I like that it's sold in a convenient traveling size. Crystal Geysers bottled water is of good quality and one that I suspect most would enjoy. This size would be perfect for a small party, meeting, or to pop in a lunch box. Perfect tiny little travel size water bottle to quench your thirst without needing to worry about carrying a large water bottle. Great for lunches too. This is the perfect size water bottle for someone who has a quick thirst. it is small enough to fit in a purse and to be too much extra weight. I recommend this size for anyone who wants to carry water but does not want to worry about it being heavy or to big. 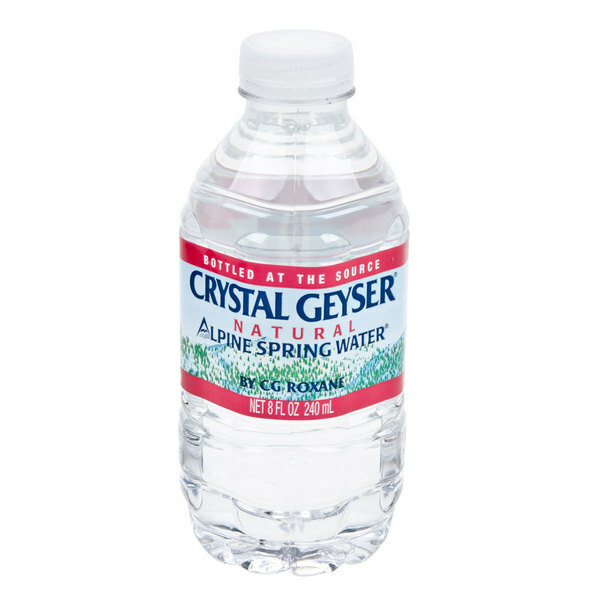 Crystal Geyser is a good quality bottle water. The prize is right as well. 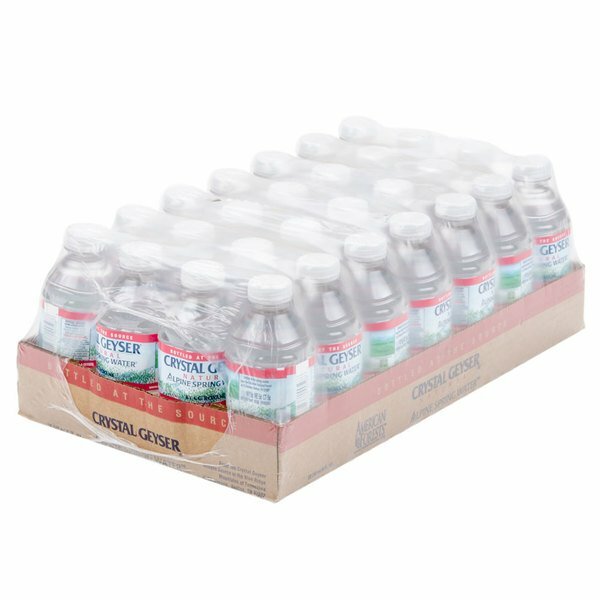 I would recommend this water to anyone looking for bottled water in an 8oz size.